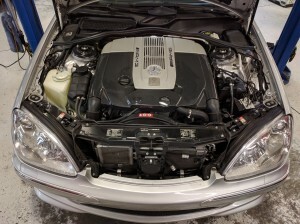 Mercedes Benz is an industry leader in luxury, style and performance and here at German Master Tech we care for these vehicles with the utmost attention and detail. Using the latest in tooling and diagnostic equipment our technicians are able to perform accurate diagnosis’ and precise repairs. German Master Tech also provides service for the Sprinter vans. Dealerships in Central Oregon don’t even provide service for these vehicles!